Checking a potential employee’s references is crucial for any role. 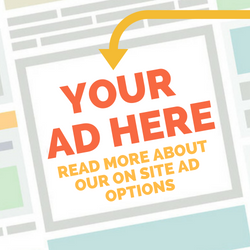 It can provide a good overview of the candidate’s suitability for the position. It may give insights into levels of ability and, depending upon questions asked, into things such as work style and ethics. It can also highlight any potential red flags or areas where an individual may benefit from additional support in their new role. Beyond the basics, if you have a do-good role that requires an extra special someone – there may be additional or particular areas you want to gain extra information on. This could relate to things such as the individual’s passion and values, helping to highlight what will keep them motivated on a daily basis. Providing referees with a brief outline of the position and skills required can help to give them relevant context within which to answer the questions posed. (if they worked with the applicant) How long did you work with them? Why did they leave the role? In terms of the competencies outlined in the position description, asking some specific questions pertaining to these could provide some useful information about the applicant’s capabilities. These questions will obviously vary depending upon the requirements of the role. 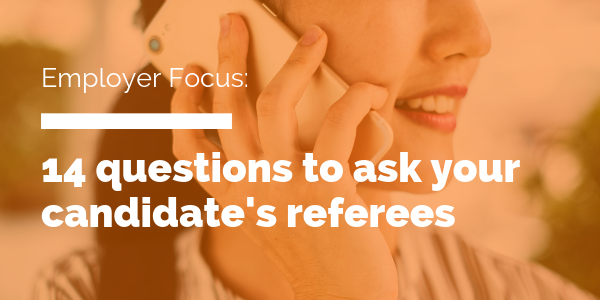 As referees often only have limited time, you may want to focus your questions on those areas where you were unable to gain sufficient information during the interview, or those areas that form the most crucial elements of the job. Would you have any reservations about placing this applicant in a position of trust with respect to handling large sums of money? What is the applicant’s favourite part of their current role (or the role they did when working with you)? If you had to give 3 words to describe the applicant at work what would they be? What would you say drives the applicant at work? Further questions can offer insights into the applicant’s areas of strength and development needs, as well as how to most effectively manage them at work. What advice would you give to his /her new manager /team leader if the candidate is successful in gaining this role? Finally, is there anything else we should know about the applicant before we make a decision? Lastly, thank the referee for their time and input.